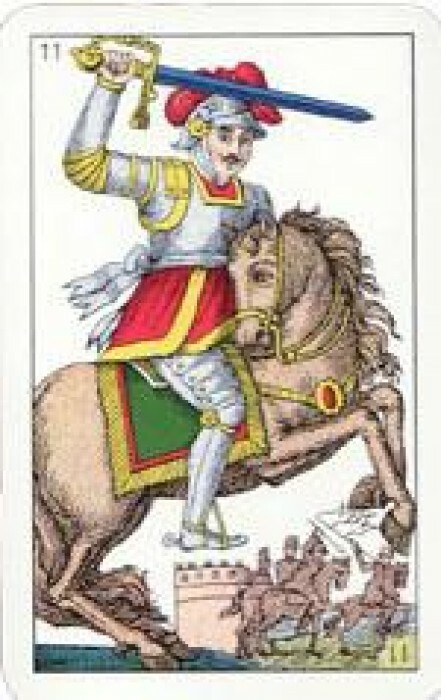 This deck is the Sarde. 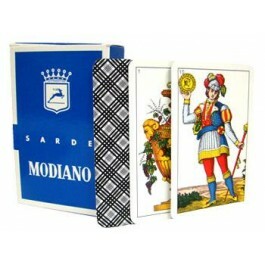 It is from the Spanish regional style of Italian playing cards. The Size of the Deck is 3 1/2" x 2". 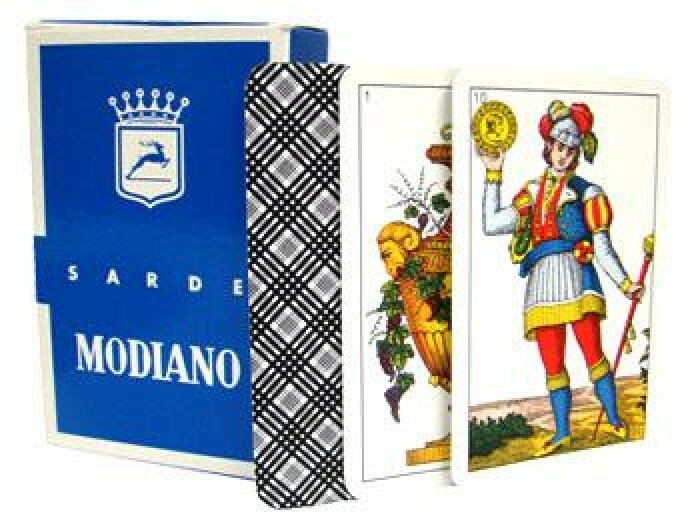 Although played throughout Italy, it is most commonly played in the Sardinia region.